Everyone’s heard of the Egyptian mummies. And most of us have heard of the Peruvian ice mummies, unearthed 500 years after their deaths in the mountains of Peru. But what about the bog bodies? Throughout Europe, these bog bodies have been turning up, in incredible condition, for centuries. The first recorded bog body was found in 1640 in Germany. Early ones were reburied in consecrated cemeteries, because locals believed they were recently deceased. It wasn’t until the nineteenth century that anyone realized they were ancient. Ancient peoples believed that bogs were entrances to another world. A world where gods and spirits mingled, entangled, and ran free. A place to deposit their most feared, most beloved, and possibly their most powerful dead. The bodies that have been pulled out of these peat bogs are usually around 2,000 years old, dating to the iron age. Over the past few centuries, peat cutters and others have found over 1,000 of these bodies. 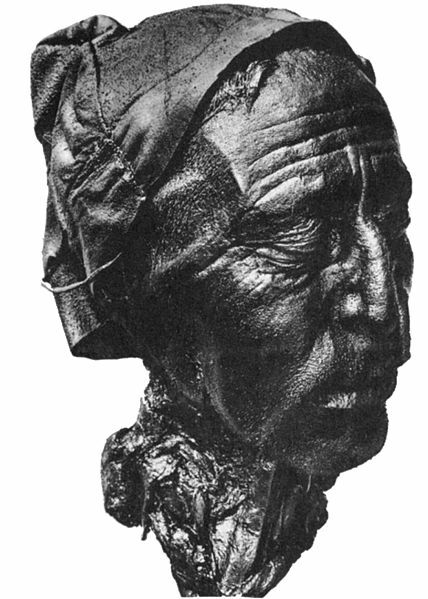 The most famous is probably Tollund Man. Tollund Man was unearthed in 1950 in Denmark, naked and curled up like a child. He wore nothing but a leather belt and a sheepskin cap, but a rope hung from his neck. The researchers who worked on him did not have the capability to preserve an entire body; however, they did preserve his head and neck. Before the body decayed, researchers were able to determine what he had last eaten (stew), and approximately how long after that he died (12-24 hours). Several of his internal organs were in perfect condition. Due to his incredible preservation in the peat, they could tell that he was about 40 years old, 5’3” (1.61m) tall, with short hair and stubble on his face, and that he had died from hanging. But what happened to his clothes? Why was he wearing a belt and cap but nothing else? It’s likely that he was clothed when he was placed in the bog two thousand years ago, but that those clothes were made from plant based fibers such as flax or linen. Since peat is, itself, plant based matter in various stages of decay, the clothes would’ve simply rotted away, leaving no trace. Other theories are that he was not afforded clothes if he was executed, or that his death was a ritual sacrifice, and clothing was not a part of that ritual. Bog bodies are often deemed ritual sacrifices, killed by their own people, though a few, namely Kayhausen Boy, seem to be murder victims. 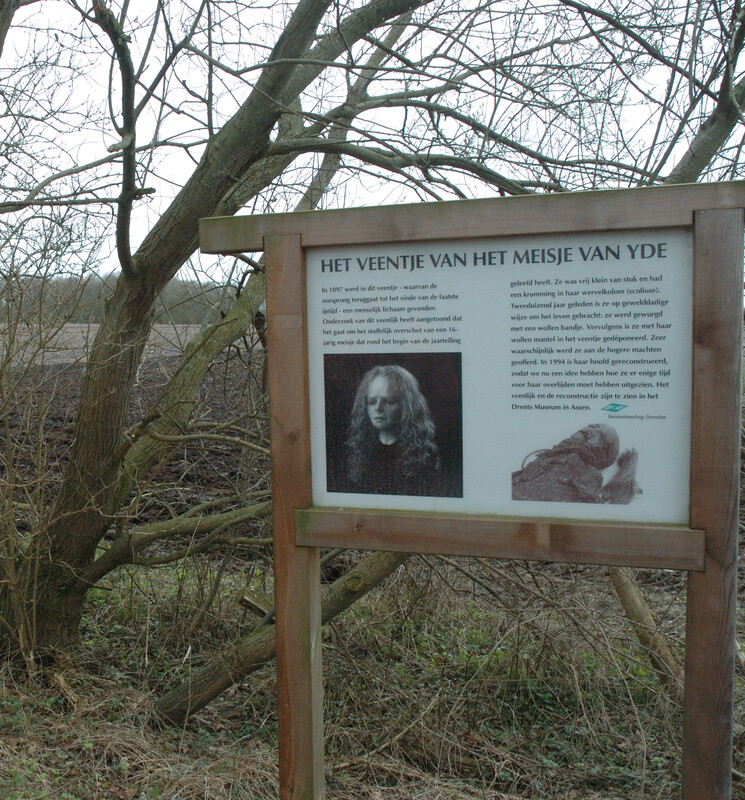 Yde Girl,found in the Netherlands, is frequently considered a victim of ritual sacrifice. 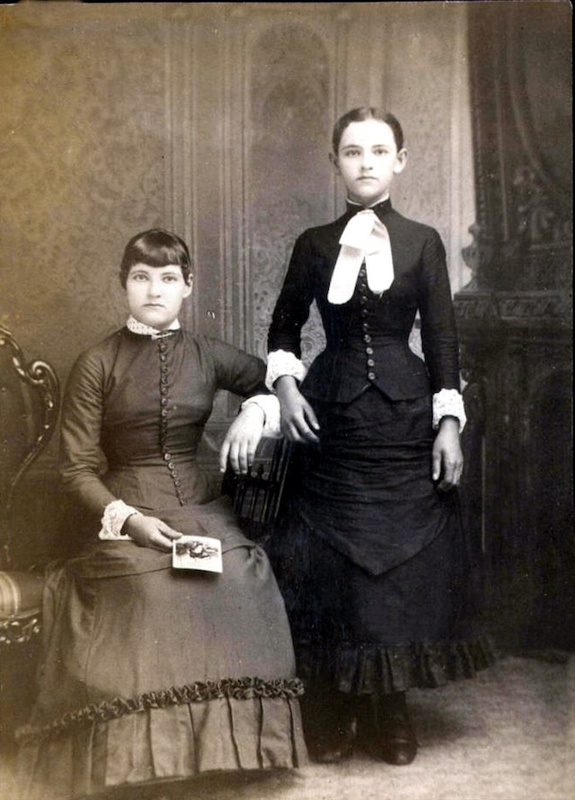 She was about 16 when she was killed, and stood at just 4’6” (137 cm) tall. Cashel Man, at 4,000 years old, has provided the oldest example of a bog body with skin still intact. Archaeologists have also concluded that he was a victim of ritual sacrifice. In the 1980s, similar corpses were found in a calcareous bog in Florida, becoming the first American bog bodies. We’ve established that bog bodies occur, and that many are preserved so well you can see wrinkles and fine hair, but how does that happen at all? Well, let’s get to it. Peat, the substance in most of these bogs, has been used for centuries to thatch roofs, treat soil, and create bedding for animals in Europe, so peat cutters are usually the discoverers of these bodies. The chemical construction of the peat, which is created during the slowed decomposition of vegetation and moss, creates a boggy, acidic wetland. In one type of bog, the acidiferous bog, acid leaches into the skin and preserves it like leather. But when this acid reaches the bones, it corrodes them. Bog bodies thus end up twisted in strange manners, or sometimes appearing deflated, because of their decayed bones. Essentially, the skin in an acidiferous bog is treated like a cucumber in pickling brine. The acidic tannins in these bogs turned the skin into human leather. It also dyes the bodies’ hair to a bronze-red color. In calcareous bogs the acid is more closely aligned to the chemical makeup of the bones, and eats through the skin. This leaves bog bodies as perfectly preserved skeletons with little to no soft tissue left. 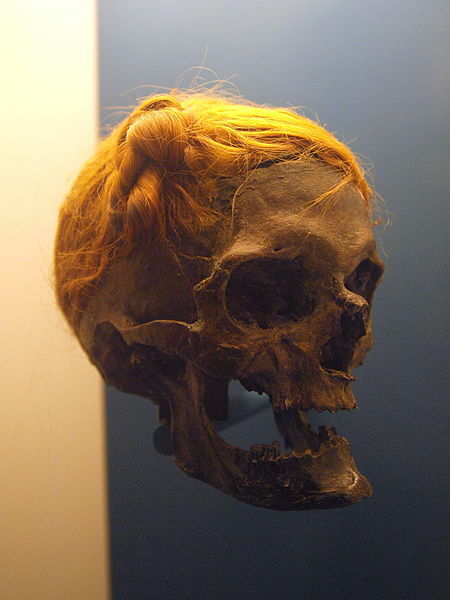 Osterby Man (pictured above) has only a small patch of skin, along with hair exhibiting a Suebian knot style. The peat also blocks oxygen from reaching the bodies, which aids in the preservation process by preventing bacterial growth. There have been hundreds of bog bodies found throughout Northwestern Europe, and they have provided valuable clues to what life was like in Iron Age and Bronze Age Europe. We will likely continue to find them for hundreds of years, preserved so well you can still see the patterns on their toes. This is one of a new series I want to do: Topics in History. As a former history major, and aspiring museum curator, I want to flex my historical muscles a little bit more on this blog and throw some education into the internet. 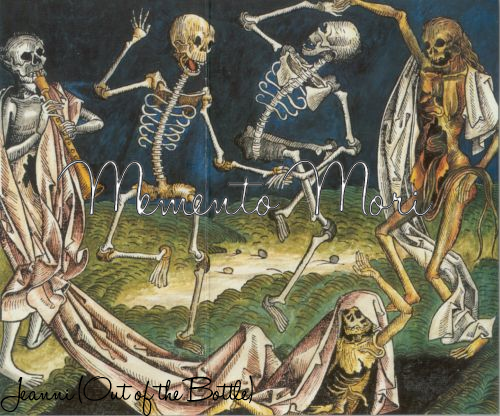 Original Image: Danse Macabre (1493) by Michael Wolgemut. One of the most fascinating subjects that I’ve ever found in history is memento mori. You’ve probably heard of them. There’s been a flurry of interest in the last few years in Victorian death photography, which is of course only one type of memento mori. “Memento Mori” means approximately “Remember that you will die” in Latin and the phrase dates back to ancient Rome. Since then, it’s come to refer to art and material culture that focuses on death. In medieval Europe, especially after the black death, a lot of art portrayed death (often as a skeleton) dancing. Death was not necessarily seen as a tragedy to most Europeans, but rather an event that led to eternal spiritual life. Artists commemorated death with images of skeletons and angels dancing, dining, and drinking. Paintings were probably the most common form of memento mori, but there were also plenty of sculptures, usually carved from marble, that depicted images of death. Other kinds of material culture have also been given the memento mori treatment. An outstanding number of clocks featuring skeletons and latin inscriptions still exist as memento mori. Jewelry, especially rings and lockets, was also a popular medium of the same. Victorian death photography is probably the most famous of the various forms of memento mori. Now, photographs are common. We snap selfies and take pictures of strange fashions we see on the bus. We take portraits every year of school, for graduations, for sororities and other organizations. We don’t question that we will have a million photographs of ourselves. But that wasn’t always the case. Before the mid-twentieth century photographs were rare, expensive, and difficult. Few people had them taken on a regular basis. Often, the only time a family could afford to have a photograph taken was at death. As such, death photography became an incredibly common form of remembrance. I remember discovering this phenomenon in the Nicole Kidman movie The Others as a child. There is an entire archive devoted to these photos, and at least one flickr collection. Art is a lens into the individual psyches of the artists, as well as into the collective psyche of their culture and time period. Memento Mori give us a look into what might often be considered the darker side of the human mind. But I don’t think it’s dark. In pre-modern times death surrounded everyone. Infants died from SIDS and no one knew what it was. Young children fell playing, and died of complications. Adults got a leg boil and died. Infections killed every day. Now, we fear death as something that is out of the norm. Earlier peoples undoubtedly also feared death, but they confronted it much more frequently than we do. I don’t think that Memento Mori represent a morbid dark side of the human psyche at all. I think they represent the same type of thought process as Carpe Diem or YOLO. A reminder that life is unpredictable and you don’t get any do-overs.